The impressive growth of Buddhist Studies in recent years is the results of several factors. Important collections of manuscripts have been found, and monuments unearthed, in nearly all parts of Asia where Buddhism existed; political and social events bringing East and West together have increased interest in both scholarly research and Buddhist religious practices. The spread of Buddhism outside its birthplace, Madhyadesa, first in India and soon throughout Asia, prompted its followers constantly to invent new discursive strategies and to adjust the rules to local customs and administrations. The essays presented here illustrate how and why Buddhist literature adapted to a new and specific context, particularly in North-west India. They also discuss hermeneutical and exegetical practices of Indian Buddhism, the complex interrelation between the Brahmanical and the Buddhist milieu, as well as the role of the social and political context in determining the rules of the monastic code (vinaya). Richard Gombrich is Academic Director of the Oxford Centre for Buddhist Studies. From 1976-2004 he was Boden Professor of Sanskrit at Oxford University and a Professional Fellow of Balliol College. He has published extensively on early Buddhism and on the history and social study of Theravada Buddhism, particularly in Sri Lanka. Cristina Scherrer-Schaub is Professor of Tibetan and Buddhist Studies at the University of Lausanne and of the History of Indian Buddhism at the Ecole Pratique des Hautes Etudes, Paris. She has published on Indian Buddhist philosophy and on the history of intellectual and material culture related to the diffusion of Indian Buddhism to Central Asia and Tibet. Petteri Koskikallio and Asko Parpola, Secretary General and President, respectively, of the 12th World Sanskrit Conference, are Finnish Indologists. Asko Parpola is Professor Emeritus of South Asian and Indo-European Studies at the University of Helsinki. The impressive growth of Buddhist Studies in recent years is the result of several factors. Important collections of manuscripts have been found, and monuments unearthed, in nearly all parts of Asia where Buddhism existed; political and social events bringing East and West together have increased interest in both scholarly research and Buddhist religious practices. The spread of Buddhism outside its birthplace, Madhyadesa, first in India and soon throughout Asia, prompted its followers constantly to invent new discursive strategies and to adjust the rules to local customs and administrations. This explains the dynamism and openness of Buddhist doctrine (dharma) and the complex casuistry of the corpus of Buddhist institutional rules (vinaya). Centred upon the study of avadana fragments, in the collection of “British Library Kharosthi Manuscripts” (ca. 1st century AD), the article by Jason Neelis illustrates in an exemplary way how and why Buddhist literature adapted to a new and specific context. While this material forms part of the “unique (literary) sources for the history of Buddhism in northwestern India”, attesting to local toponyms, onomastics and titulature, it also sheds important light on how early Buddhist texts were transmitted and redacted. It thus contribute to a better understanding of some puzzling questions raised by the existence of various later recensions. From this point of view, Jason Neelis’s allusion to the use of the literary device of “abbreviated prose outlines” immediately leads the reader to Ilona Manevskaia’s and Peter C. Verhagen’s interest in compositional techniques and manuals of exegesis in Indo-Tibetan Buddhist tradition. 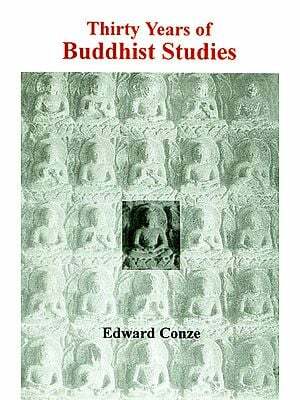 The study of hermeneutical and exegetical principles plays an important role in Buddhist Studies in establishing the validity of tradition, and seems a natural development of the early binary analysis based on yukti and agama. By the 5th century AD Vasubandhu composes a systematic exegetical treatise, the Vyakhyayukti, based upon the ancillary discipline (grammar, lexicography, logic and the art of debate) common to Buddhist and Brahmanic scholars of the time. 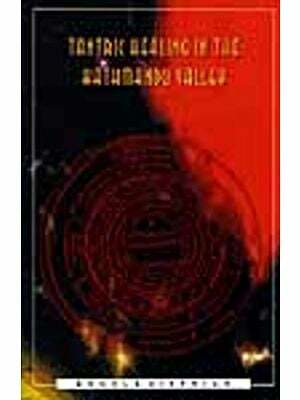 Vasubandhu illustrates the application of these techniques with well known passages drawn from the scripture, among them the paradigmatic type of scholastic reasoning (yukti), i.e. 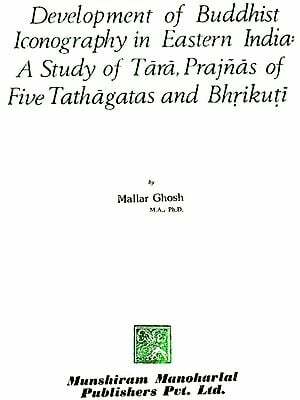 the pratitya-samutpada (Verhagen, pp. 241-243). Ilona Manevskaia introduces material on the idea of “compositional techniques” (tantrayukti) common to Brahmanic and Buddhist sources, taking the cases of Vatsyayana Paksilasvamin’s Nyayabhasya, a treatise almost contemporaneous with the Vyakhyayukti, and of the 7th-century Yuktidipika lists of the compositional techniques used in sastra, the eleven tantragunas. This shows how Indian scholars became increasingly intertwined, a fact well attested in the impressive corpus of philosophical treatises of the time. This theme is further developed by Marek Major in his original study of the Abhidharmakosa’s use in Brahmanic and Jaina sources. The topics of the debate are related to philosophy; they range from dispute about the cause of the variety of the world (lokavaicitrya/jagadvaicitrya), polemics against Vasubandhu’s refutation of the existence of the atman, and Akalankadeva’s criticism of Dignaga’s definition of pratyaksa to ontological/sociological questions, such as Siddhasenasuri Gani’s criticism of Vasu bandhu’s notion of “murder” (pranapata). In the wake of mutual resonance between Brahmanic and Buddhist tradition, P. Szczurek, while considering Jezic’s theory of textual stratification in the Bhagavadgita, compares ideas in Bhagavadgita 2 with parallel ideas attributed to early Buddhism. He thus revives a subject which was discussed by Etienne Lamotte, whose work has been re-edited with a foreword by Professor Minoru Hara. Equally rich in diversity is the practice related to the “rule against gold and silver” discussed in the Vinaya of various schools, a topic that has been treated by several authors, and which Bhikkuni Juo-Hsueh revisits. Particularly meaningful, with respect to Agostini’s conclusion, is the institution of the role of “legitimiser” (kappiya-karaka) to serve as an intermediary between the monk and society in transactions where the direct intervention of the monk could infringe a precept. Bhikkhuni Juo-Hsueh notes that the Bhikkhuni Vibhanga is less strict in the matter of handing “gold and silver”. In her opinion, nuns “accepted or in most cases begged for funds in the name of the Sangha, of a group of nuns or even an individual nun”. The author suggests that, at the time of the Bhikkhuni Vibhanga redaction, these were “ordinary practices and presumably would not be unique to nuns”, and that “some Vibhanga for monks contain very limited information, but the corresponding Vibhangas for nuns make up for the deficiency.” Be that as it may, various aspects of the role and impact of women in Indian Buddhism - one of these is here portrayed by Sundari Siddhartha following the story of the Sundari of the Therigatha - are, in recent times, becoming increasingly evident. This volume would not have appeared without the support of the Finnish Cultural Foundation and the generous and illuminating assistance of Petteri Koskikallio, to whom we express our sincere gratitude.